Mobility Service Dogs are trained to assist individuals 6 years of age or older with physical or mental disabilities. Individuals can have a renewed sense of safety and independence through the use of one of our trained service dogs. On a daily basis, Mobility Service Dogs help their partners retrieve objects, open and close doors and help with many other personal needs. These dogs are also trained to bark or activate an alert system when help is needed. Their ability to perform such a wide range of tasks puts Mobility Service Dogs in high demand and has proven them to be a vital aid for many individuals. Ambulatory mobility impairments: Dogs help with stability and balance while walking. These dogs wear a special harness that helps them act as a counterbalance for their partner while he/she is walking, in order to prevent a fall. 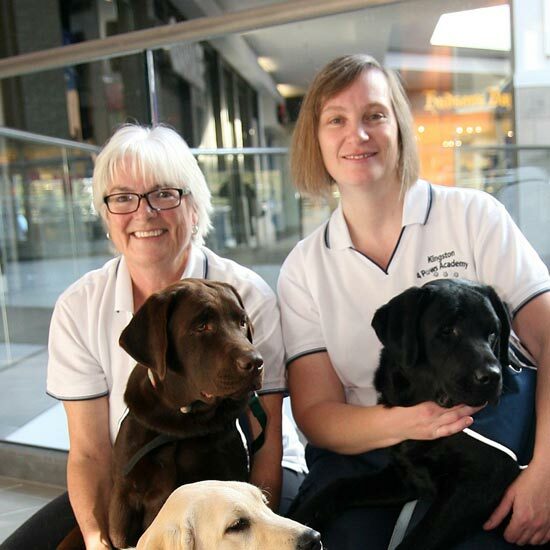 These dogs also assist their partners with many of the same tasks as those used for wheelchair users, such as retrieval, door opening/closing, tugging off clothing, bringing a cane/walker, tugging a laundry basket, and many others. Each dog’s set of tasks can be customized for the person’s individual needs. Assist a wide range of disabilities: Dogs can be trained for individuals with Cerebral Palsy, Parkinson’s disease, Multiple Sclerosis, spinal cord injuries, Fibromyalgia, and many others. Multiple disabilities can also be accommodated. Characteristics: Mobility dogs are particularly selected for their temperament, obedience, desire to please and work drive. The build of their body and soundness of their bones/joints is very important. Mobility dogs wear a jacket with a handle so they are easy to hold on to and “brace” with. K4PSD’s Mobility Service Dogs are valued at $20,000 to $25,000. We expect them to have an eight to ten year working life. However, each dog is provided free of charge to approved caregivers. K4PSD receives no government funding and relies entirely on donations from the general public, corporate sponsors, fundraising events, and community supporters. Our clients are expected to assist in our fundraising efforts. Their targets are at least $20,000, however the amount raised is not tied to when they will receive their service dog. Many of them participate by asking for donations from friends and family, by organizing their own fundraisers and also by helping promote many K4PSD organized community fundraisers. Individuals or families who do not show significant effort may risk losing their acceptance status. 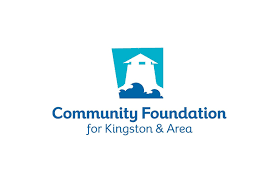 The actual direct cost of a mobility dog to the individual is an application fee of $75, an equipment fee of approximately $100 at the time of placement, and the cost of travel to training sessions in the Kingston area. All food and veterinary costs are the responsibility of the recipient once the dog has been placed with the individual. K4PSD has been steadily increasing the number of puppies in the program to keep up with demand. Our target it to continuously have 15-20 dogs in training across all of our programs. Currently, our wait time to be matched with a Mobility Service Dog is about 18 to 24 months from the time of approval. The timing of a trained service dog placement is determined by chronological position on the waiting list and the availability of the right dog for the person’s needs and situation, and is in no way tied to fundraising efforts. To help ensure the success of each Team, K4PSD has designed an intensive application process to assist with the placement and matching of each dog. Each applicant is screened to ensure they meet our application criteria (lives within Ontario, is able to provide a medical diagnosis of a mobility handicap or disorder, and is more than six years of age). An application can be completed on-line and sent to us along with several reference questionnaires from individuals involved in the person’s life. If our criteria is met, a K4PSD trainer conducts an in-home interview with a K4PSD dog to meet the person, learn more about the family, and discuss further questions and concerns. Final acceptance is determined following the in-home interview. People or families may be disqualified at any time during the application process and should recognize that the dog who visits will not necessarily be the dog that will be placed with them. K4PSD is currently accepting applications from individuals 5 years of age or older with physical or medical disabilities, living in Southeastern Ontario. Some restrictions may apply. 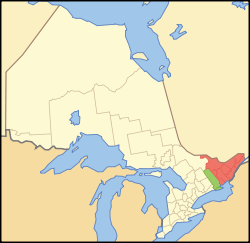 Our service area includes only the counties of Prescott and Russell, Stormont, Dundas and Glengarry, Lanark, Renfrew, Leeds and Grenville, Hastings, Prince Edward, Frontenac and Lennox and Addington; and the municipality of Ottawa. If the applicant meets the above criteria, please complete our online application form and a staff member will be in contact within one week.